Family, friends, military life, food, running, and coffee of course! Today I got to do something I never thought I would…a drug test (urinalysis). Apparently secretaries are known for their druggy ways (joking, don’t get your undies bunched) and the position I have applied for requires a test prior to beginning. Now, I have no problem being tested. Nothing to hide. It’s just odd to me that my years of service and clearance with the military doesn’t allow me the “benefit of doubt” to start while awaiting the results. So, my fiasco of providing a sample made for another wonderful morning. When I was told I would need to do this test, my instructions were to show up to the medical clinic at 0900. I proceeded to head that way around 0850. Seeing as it is less than 2 minutes away I figured it would provide me plenty of time to find the right area in the clinic. Nope. Entering through the doors and looking at the map gave me my first inkling that I wasn’t in the right place. Making my way to the nearest area with a person behind the desk I asked for directions. What followed should not have shocked and frustrated me…the complete look of confusion, blank stare, and questioning eyes. “Uh, where? No, never heard of that place.” The 2 people behind the desk both had no clue but tried to help. They asked a few others passing through and eventually placed a call to another clinic area. Same response. Huh? What is it for? The minute I said blood or urine test a light clicked and I was immediately sent to the lab. That’s nice and all but typically these tests are handled separately than the typical laboratory tests. Now a little irked and more than 5 minutes late I headed to the lab to find the line from hell and one person working behind the desk. Apparently there was a place to take a number but I didn’t see it. Some people were checked in and others weren’t. The receptionist came out to sort the chaos and I dared the question…”Am I in the right place?” “Oh no, honey. That’s done in another building. It’s next to the community center.” I huffed a quick sigh, smiled at the lady and said thanks before speed walking out. Another 5 minutes up the road and I found my testing site. Let the fun begin. Once I checked in they made sure I wasn’t stashing any extras in my pockets and explained the process. The lady behind the desk got up to supervise but the guy in the room asked if I was sure I was ready. Since this was my first time I gave him the confused, huh look. He went on to explain that if I couldn’t fill to the line then they would have to start the process all over again. A little nervous that my cup of coffee and small glass of water wouldn’t be enough I opted to guzzle a few more glasses. A few minutes later I was ready and the lady escorted me to the restroom. That’s when it hit me…I was gonna use the restroom with someone watching. Shy bladder and performance anxiety started to set in. I washed my hands in prep and then proceeded to the door. She then told me that I would take the cup, fill ‘er up, and then pass it back to her once I was done. No actual watching involved. *whew* However, the knowledge that someone was standing there waiting had me feeling a little pressured and even though I had to go, I couldn’t seem to go. It seemed like forever before I was able to accomplish the mission and pass the cup. Once I got home I took out my frustrations with some exercise: 2 mile walk/run followed by P90X Cardio and some weight training. FYI…the cardio DVD is so much easier than the plyo. Since I hadn’t eaten my all morning and worked it out for 1 1/2 hours I figured a good snack was involved. 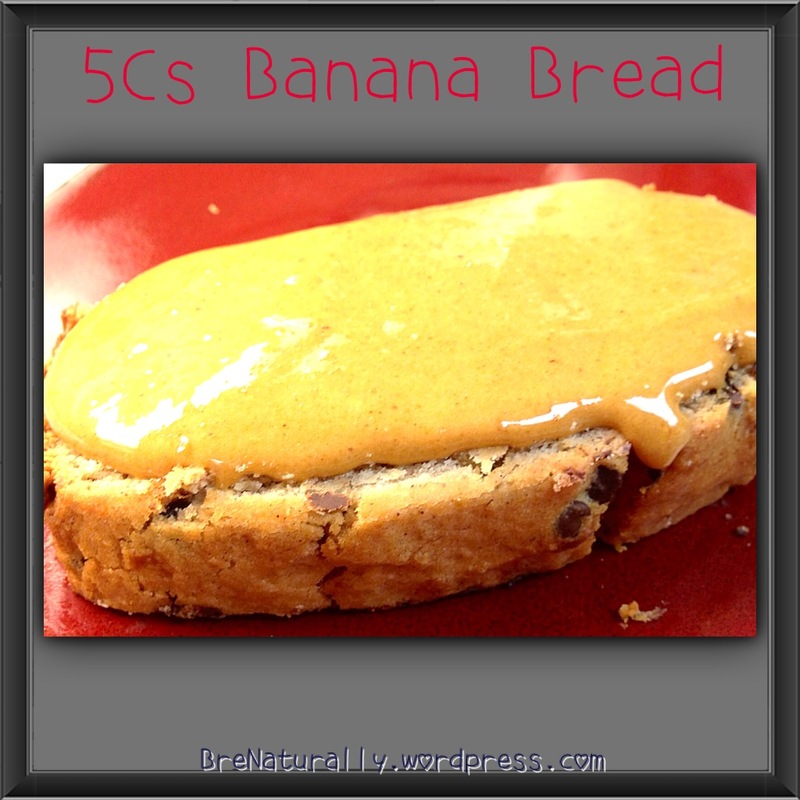 A slice of my 5Cs Banana Bread with some P3 frosting. Yumm-O! The 5 Cs come from the cinnamon, chocolate chips, and cream cheese. All yummy good stuff. Especially when you put it altogether. Moist and full of flavor. Can you see that nice brown crust? 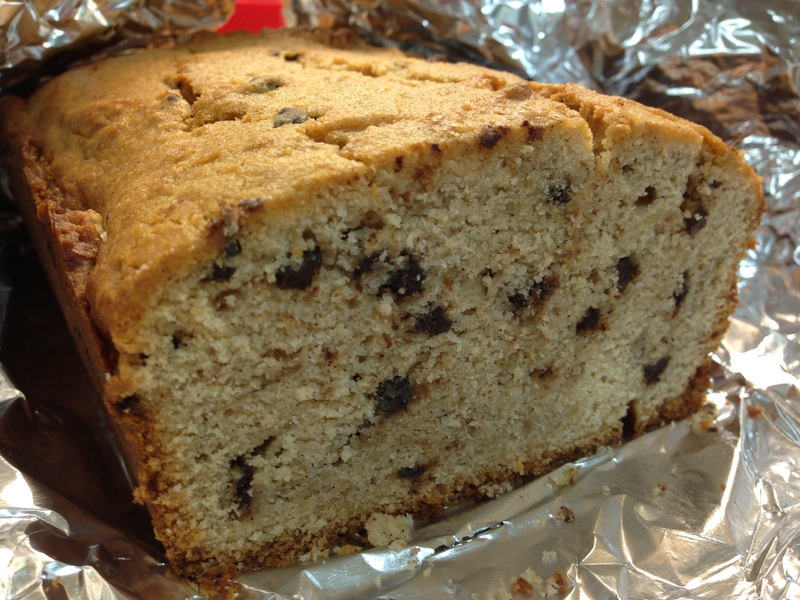 And those chocolate chip pieces slightly melted into the surrounding area…heaven. I think I’m hungry. Have you had any adventures in peeing lately? 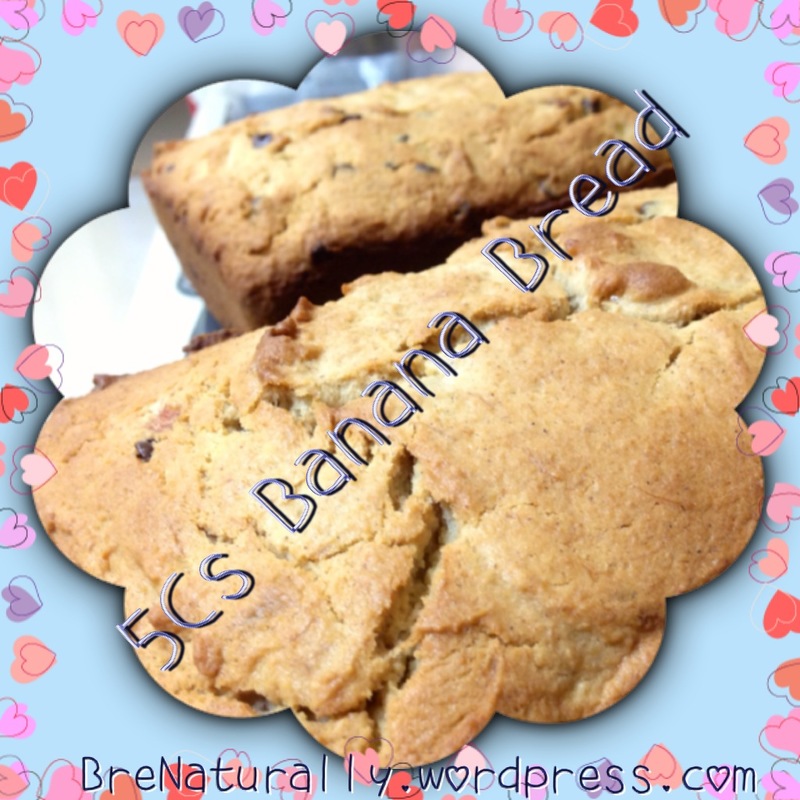 Tags: Baking, Banana, Banana bread, Chocolate chip, Recipe. Bookmark the permalink. No recent adventures in peeing lately from this gal since the frequent pee test for protein while pregnant. However, I didn’t have anyone watching me….YIKES….can you say “stage fright”. Good for you to rising to the occasion and getting er done. Thank you for sharing and linking up the Empowered Living hop, hope to see you back again. © Sabrina Costa and BreNaturally, 2012 and beyond. Unauthorized use and/or duplication of this material without express and written permission from this blog’s author and/or owner is strictly prohibited. Excerpts and links may be used, provided that full and clear credit is given to Sabrina Costa or Bre and BreNaturally with appropriate and specific direction to the original content. 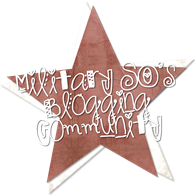 Disclaimer This policy is valid from 26 September 2012 This blog is a personal blog written and edited by me so bare with me and excuse any mistakes. I’m not a doc, nurse, or any other type of medical professional. I do not hold any degrees in food, fitness, medicine or otherwise so take it for what it is…experiences and opinions. If at any time I receive free products, services, travel, tickets, or other forms of compensation I will tell you prior to making any comments. I will not let these “freebies” influence my content, topics, or posts. Any advertisements on my blog are those provided by Wordpress as I am currently using their free blogging service. Wordpress will identify these companies. If for any reason this changes, I will let you know. Any brands, products, services, companies or organizations I comment on are due to my experiences with them and no endorsement or discredit is implied. It’s just an opinion! For questions about this blog, please contact me.